Wow, can you believe 2013 is almost here? I am still having trouble writing 2012 on my checks. This year has been a pretty amazing year in my blogging bubble for so many reasons. BlogHer adopting me, meeting amazing new blog friends in person (they actually do exist!) and meeting all of you new friends who come to my blog online. I love this little blog and I love that you all are such great supporters of it. Sometimes I feel like you have just as much of a vested interest in this project of mine as I do and that makes me feel so good, you just have no idea. Thank you all, yes you right there in the sweatpants holding the pint of Haagen Dazs….thank you from the bottom of my heart. MeHere are some of my fave projects of the year 2012. 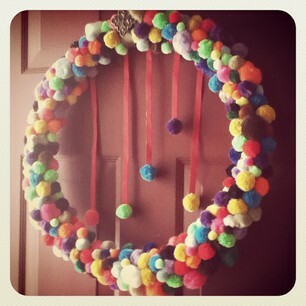 Pom pom’s make me happy. So does wine but I don’t know how to create a wine bottle wreath. Don’t think I am not trying to work on that either. Creating a space for the dumping of stuff that won’t go anywhere else in the house. Our possessed Goodwill rolling island. My roadside chairs got a much-needed makeover. But they now need a fresh coat of paint as of the writing of this post. Because off-white paint + 2 kids + food = what the heck was I thinking?? I turned an old record cabinet (records? what is a record??) into a cool piece of retro furniture. Replacing me as the only retro thing in my kitchen. A fun to do list made of a piece of 90’s artwork. And I got to write with chalk, which is always a plus. My first mod podge furniture craft. Replacing the smudges and smears on our white doors. With scrapes and scrapes on our black doors. The only place I can go for peace and quiet in my home. There is no place like that in my home. Making the toothpaste stains and puddles on the floor look classy. 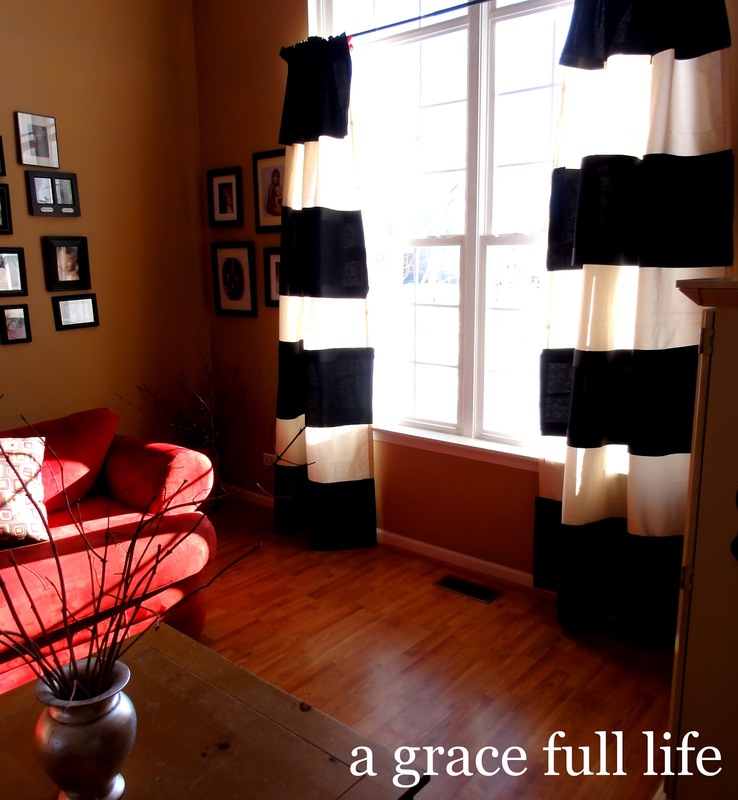 Creating a relaxing place in the room of my home where I spend more time than any other. And it makes the food taste better now too. I wrote it in an hour. Still up, still love them but they are falling apart. Click on the links above to be taken to the individual posts and point, giggle and stare at my attempts to be cheap and crafty. I hope you will be entertained and learn how NOT to do DIY on my blog. Tomorrow is Christmas Eve and we will be traveling to Tennessee in a few days (squeal!) so I just wanted to wish all of you Merry Christmas! Enjoy your families and friends and give them all big hugs from me, kay? I adore your style! Can't wait to see what's in store for 2013. Safe travels! And when you get back….can you like fix my house? I LOVE the summer board! Your bathroom is gorgeous! I love how daring you are with wood floors. And your kitchen table chairs are really, really lovely. You had some great projects in 2012! I came by via Hometalk and I'm following along. Look forward to seeing you this year! Sorry about those curtains…:( They look good!